So, FanimeCon doesn't take place in Sacramento... but it's only a couple hours drive away in San Jose, and many from Sacramento make the short trip down to attend it. Fanime is held at the San Jose Convention Center. It's a large facility anchored by two big name hotel chains - the Marriot and the Hilton. Some attendees choose to stay at these prestigious hotels, but many other options are available in San Jose. 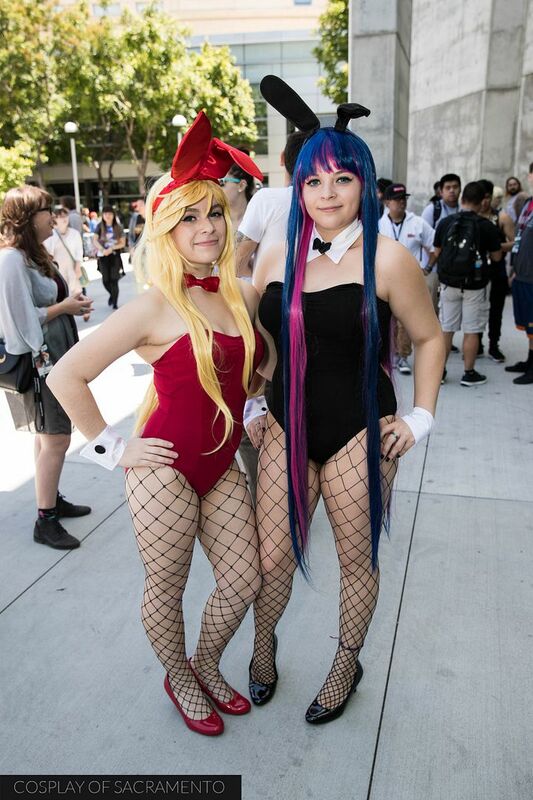 Fanime has gotten larger and larger throughout the years - and more and more people seem to be coming out for it as it has become one of the big name conventions in the area. Being on Memorial Day weekend, this con spans four days (Friday through Monday) along with Thursday being their Day Zero. Fanime provides a lot of content throughout the time it is run. Attendees will always have something to do while there! Sadly for me, Friday was the only day of the convention I could attend as I had to return to Sacramento for a very important wedding shoot on Saturday and some graduation shoots on Sunday. It was my plan to stay for the duration of the day on Friday, but the previous day I was literally eaten alive by insects at a band shoot in a field. My leg was blistering up and inflamed while at Famime so my time was limited to just a few hours as I could hardly walk. I didn't want to waste the small amount of time I had so I tried to make the most of it and get as many photos of the Friday con-goers as I could. 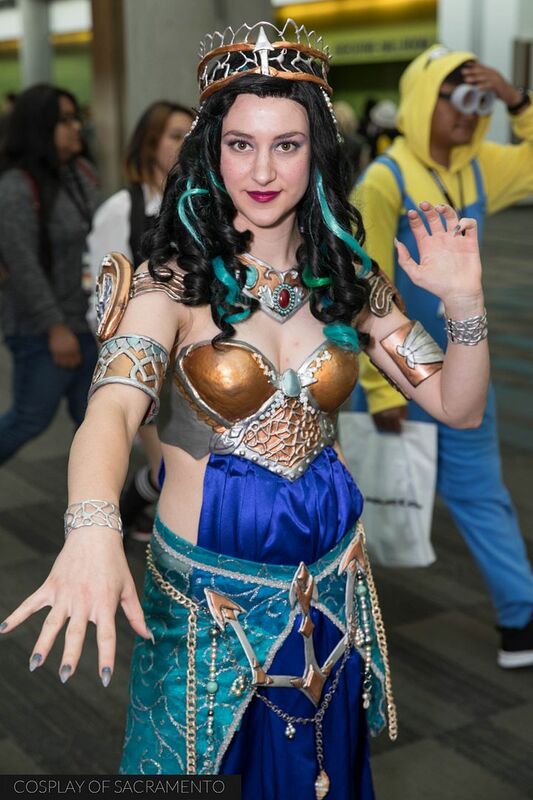 Some of the best and most intricate cosplays can be found at Fanime as some people make this the con to debut the cosplay that they have been working their hardest on throughout the year. It was awesome to see amazing cosplays from all fandoms be it from anime, video games, comic books, or any else pop culture. Many people actually come up with a line-up of cosplays to change into from day to day (and sometimes within the same day) so that they can keep things fresh and exciting. Countless hours go into each cosplay that is made, so of course they have to be brought out and shown off on the con floor. And we as photographers are more than happy to capture it in a photo. Just like with all cons, it's really about the people and hanging out with a great community of folks. Those who cosplay together, stay together.... wait... is that even a saying? Anyways, the point is going with a group is way more fun than going it all alone. And it's awesome to see a group cosplay where everyone in the group takes on a character from a show, comic, or game. As a photographer, the same thing happens as well. These events draw out a lot of people who like to shoot photos, and it's cool to network and get to know the other photographers who enjoy shooting cosplay. It's especially fun for us photogs to nerd out talking about camera gear, which usually puts anyone else hanging around us into an instant slumber. My time at Fanime was way too short, but I can look on the positive side of things and enjoy the time I got there, the people I got to see, and the photos I took. Hopefully next year I'll be able to attend for more than just a few hours on the first day. I'm writing this blog post on the Saturday morning of Fanime day 2, so there is a lot of Fanime that will go on. I hope everyone out there stays safe and has a ton of fun! See you soon! 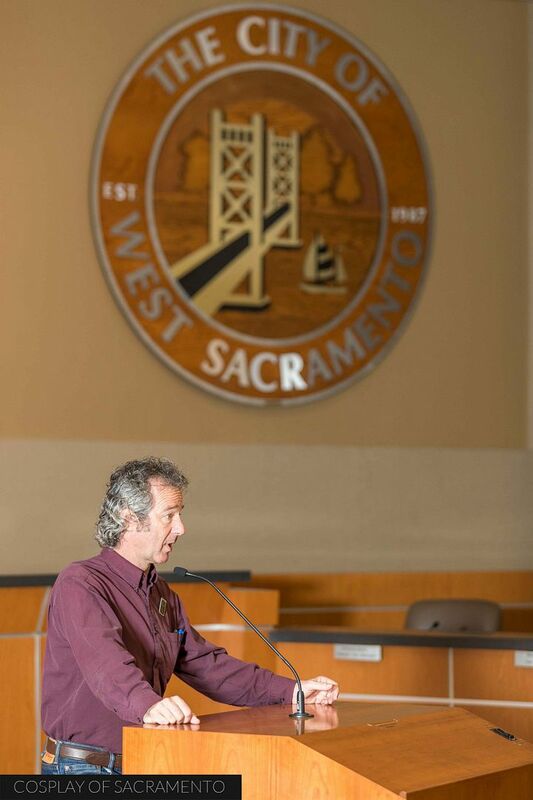 The Intergalactic Expo (IGX) was held in West Sacramento on May 22, 2016. It was a perfect day for the event as the weather was gorgeous. Usually at conventions the weather doesn't matter, but for IGX the weather had to cooperate because of the numerous outdoor events that took place there. This was my second time at IGX and I had a blast hanging out with cosplayers, checking out panels, seeing all the awesome merch, roaming the outdoor fair, and enjoying live musical acts. It's truly a unique event that is really unlike many of the other conventions that I typically attend. IGX is also special in that its focus is mainly on science fiction and the fandoms related to that like Star Trek, Star Wars, and Doctor Who. 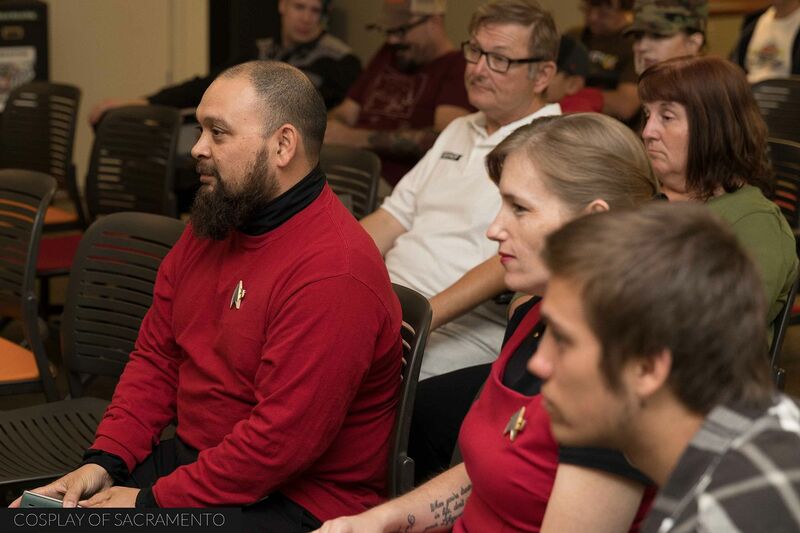 Sure, you see science fiction represented at convention events quite often, but it's great to have an event that is specific to the genre here in the Sacramento area. There were many booths to check out all round IGX. The main hall of the expo featured awesome sci-fi merchandise like these Star Wars figures at Sean Long's... I mean Kylo Ren's... table. Looking for hard-to-find items from your favorite sci-fi show? Expo goers had the chance to find exactly what they were looking for here. Toys, play-sets, posters, and hand-made goods were available for sale. Just outside the main floor were tents that had even more items to buy as well as face painting and food items. Pretty much everywhere you went at the expo you would see something that would potentially peak your interest. Events like these usually bring in star names as guests. Jeffrey Weissman, who played George McFly in Back to the Future 2 and 3, was definitely a draw for those who came out to IGX. He's an experienced actor in feature films, and it was a pure joy to hear him speak on his experiences on set with other actors such as Michael J. Fox and Clint Eastwood. Weissman also took time to take photos and sign autographs with attendees. Seeing him interact with the people who came out - especially the kids - was great. He really took the time to be personal and personable with each person who wanted to meet him. If you were at all interested in anything sci-fi, then the IGX panel rooms were the place to be. Rooms focused on a variety of topics including steampunk, cosplay, and even Star Trek versus Star Wars! 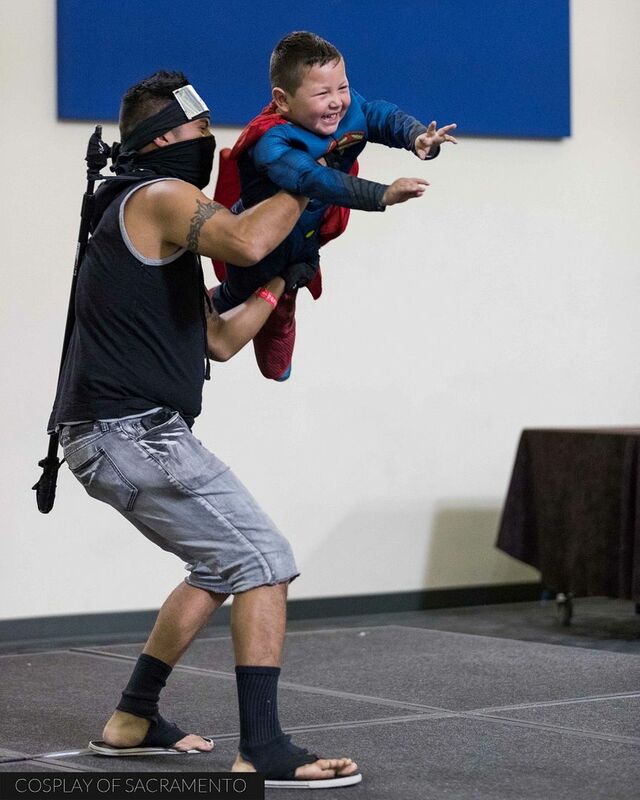 There was also lightsaber training, workout demos, and a comedy show to entertain attendees. Other attractions at the expo included a video game room and art gallery. As you can probably tell, there was a ton of content for sci-fi fans to sink their teeth into. Outside of the main hall was the large tent area. This area featured musical acts throughout the day. Early in the morning the River City High School's concert band could be heard playing favorites from Star Wars. Later on, the band Great Disturbance rocked out for their audience. And after they finished came Darealwordsound, a nerd rap DJ. Big thanks to the artists who came out to share their music with us. It was great to hear them and enjoy the different musical styles they showcased during their time on stage. I wasn't planning on it, but towards the end of the day I was actually able to get a quick shoot in with Instagramer @space_dana. She was wearing a stunning cosplay of Padme Amidala from Episode II - think of the scene when she's with Anakin in the fields. Thankfully there was a nice little island in a roundabout that I thought would fit her cosplay well and we shot there for just a few minutes. I never know when a great photoshoot opportunity comes up! They seemingly just pop up at any time. I loved the photos that we were able to capture during our short time together. 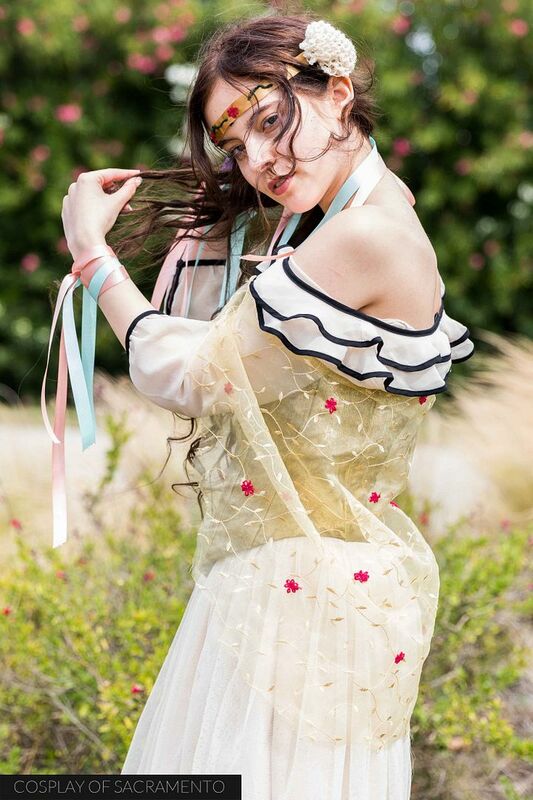 They can be found in this gallery: http://www.cosplayofsacramento.com/Cosplay-Gals/Padme-Ep-II/. Overall I had an amazing time at Intergalactic Expo, and I think all who came did so as well. Sacramento is better for having events like this, and I hope that the organizers of IGx continue to grow and hold this event for many years to come. 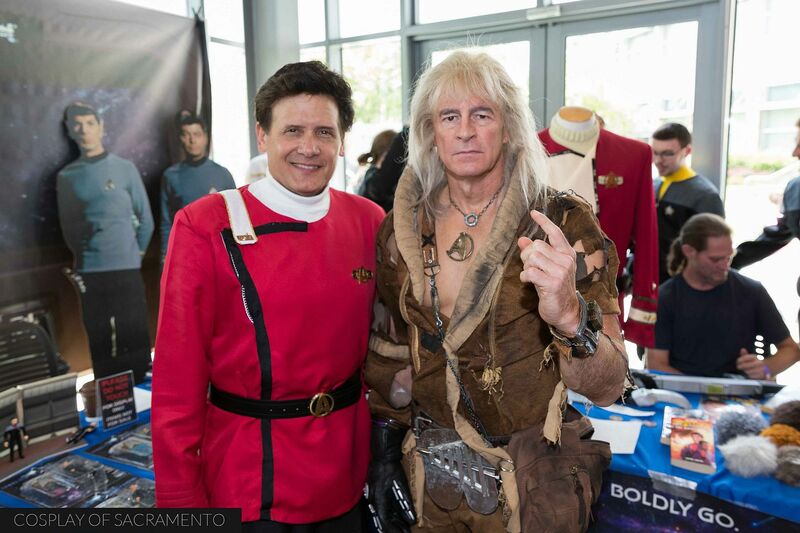 If you'd like to see my complete gallery of photos from Intergalactic Expo this year, check out this link to my main site: http://www.cosplayofsacramento.com/Cons-and-Events/2016-Intergalactic-Expo/. One of my absolute favorite cosplayers to shoot with is Skylr - you can finder her on Instagram at @skynerd_cosplay. We have shot many times together and she always kills it with her different cosplay ideas. Today Skylr went for Daenerys Targaryen, the extremely popular character from HBO's Game of Thrones series. Daenerys has had many costume changes since the first season of Game of Thrones. She's gone from a young girl with a simple dress to a tribal queen of a proud wilderness people to a ruler who wears opulent dresses. Skylr chose to go with a cosplay representing Daenrys' earlier days as a ruler. Skylr's looked amazing in her cosplay and it was my job to capture her as best as I could. Davis, Ca was the location of this photoshoot. If you're looking for beautiful nature backgrounds to shoot, Davis provides it in spades. The city has a greenbelt that is perfect for anything that needs a natural look. We started at a location that had a really nice large arrangement of pillars. Since Game of Thrones is set during a time period where this type of architecture was common, I thought it would be an ideal spot to begin the shoot. The structure we shot at was in located in the middle of some large apartment complexes. The challenge here was to get Skyler and some background in the frame without including cars and buildings that would distract. Overall I thought we were able to get some nice pics at this first location. We then moved on to the actual greenbelt area where there was a bike path surrounded by wooden fences, trees, and yellow field grass. It was an excellent time of the day to shoot as it had cooled down a bit from being pretty hot earlier in the day. It was also the golden hour in which the sun was perfect for getting great natural lighting. I ended up taking photos both with natural light and with a speedlight in a softbox. Throughout it all, Skylr modeled her cosplay really well as she went through a variety of different poses and looks. She's a total natural when it comes to poses! I really didn't have to give much direction at all, which made the photoshoot flow smoothly. Skylr also brought in a little Drogon to take photos with. Drogon is one of Daenerys' three dragons that she has on the show. He's actually the one that has the biggest temper and doesn't seem to do exactly as Daenerys wants. But he's also seemingly the most powerful and loyal as well. Skylr says that this little Drogon isn't 100% complete in terms of how she wanted it, but the little guy photographed really well. 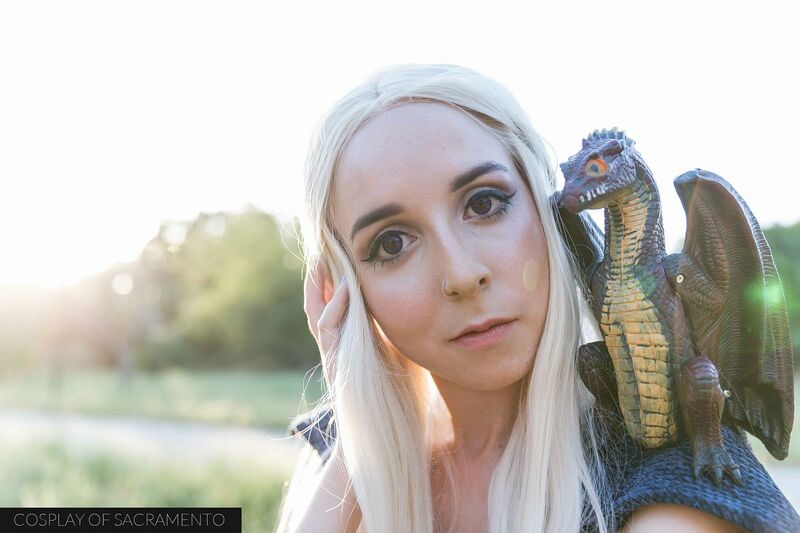 Having a accessory like Drogon in a shoot is great in that it adds much more authenticity to the cosplay. If you didn't know it was Daenerys before, Drogon would totally give it away. I'm excited to see what Skylr does to finish little Drogon. For this shoot I used my trusty Canon 5d mark iii with either the EF 24-70 2.8 mark ii or EF 70-200 2.8 mark ii. Both lenses worked well, but the 24-70 did have a few issues focus hunting when I was trying to shoot Skylr when she was extremely back lit like in this shot above. I would say about half the shots I took were with the ambient light, but for the others I used a Canon 600EX-RT speedlight in a Westcott Rapidbox softbox. Corpus Photography came alongside me during this shoot to get some behind the scenes video coverage. I'm excited to see what he got! 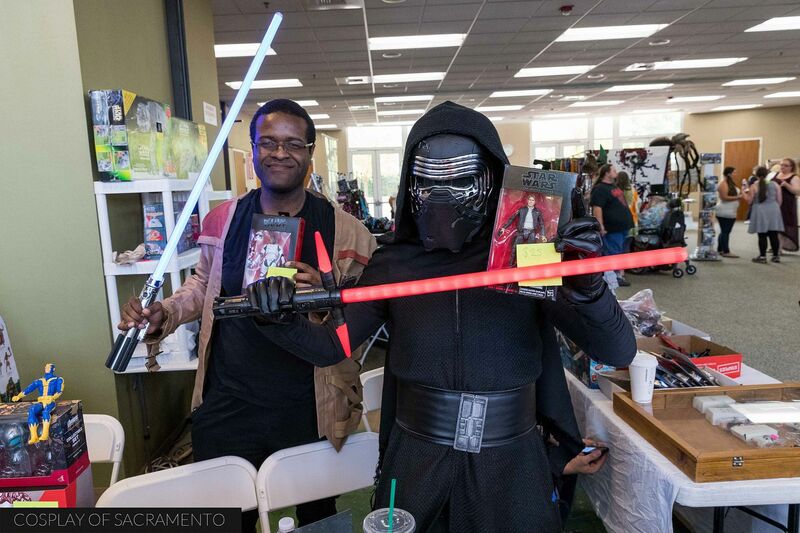 SacAnime Gives Back took place on Sunday, May 15th 2016 at the McClellan Air Force Base Conference Center in Sacramento. This was not the typically huge SacAnime production that happens twice a year. 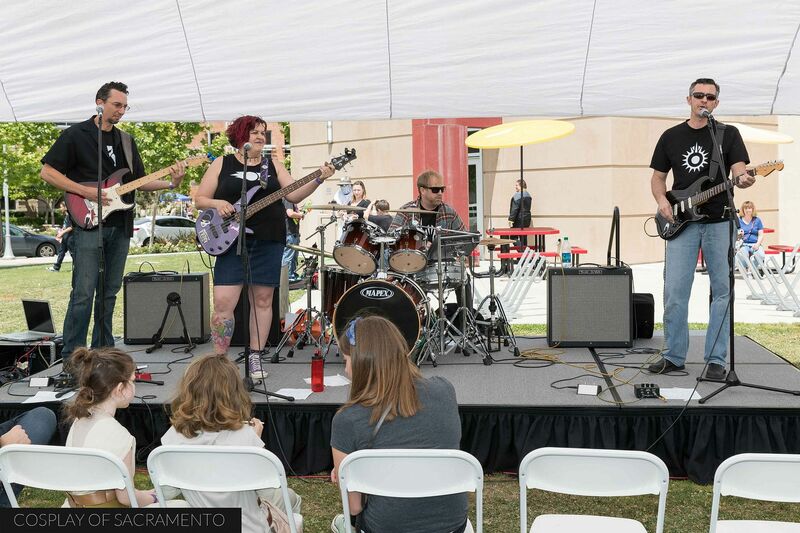 This was, rather, a smaller mini-con with the focus on raising money for a charitable cause - in this case WEAVE, a charity organization that provides services for survivors of domestic violence or sexual assault in Sacramento County. A portion of every admission ticket was donated to WEAVE as well as 100% of the proceeds from an auction held during the event. 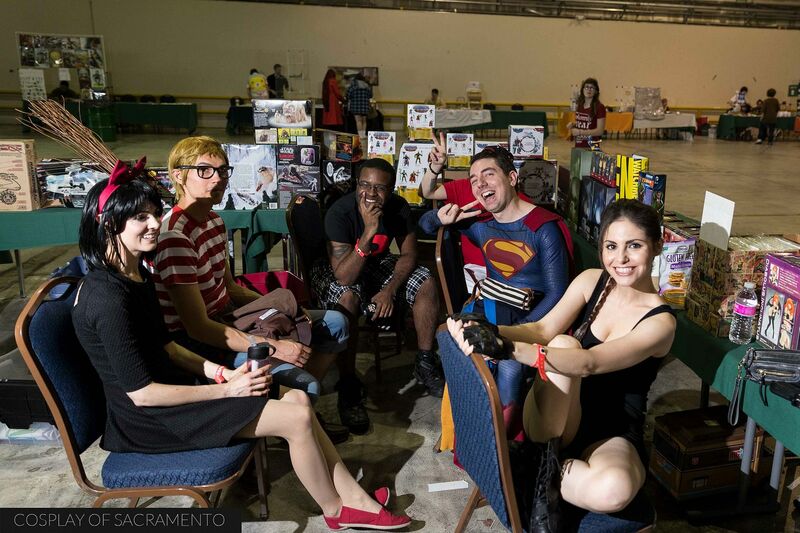 Convention goers who came out to SacAnime Gives Back found a relaxed atmosphere to hang out and enjoy. This con wasn't filled to the gills with tables and booths so the main hall was much easier to navigate and walk through. Though there were less exhibitors, there was still plenty to see, to do, and to buy. 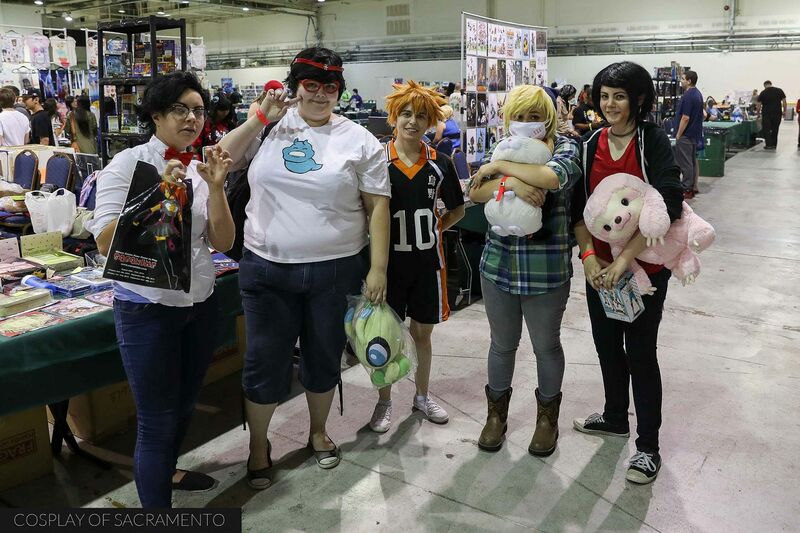 Besides the merchandise, SacAnime Gives Back had some special celebrity guests. Ali Hillis, Melody Perkins, and Cherami Leigh were all in attendance. These guests had some serious fans as attendees waited in long lines to meet them. Check out my video coverage of SacAnime Gives Back to get a glimpse of these lines! 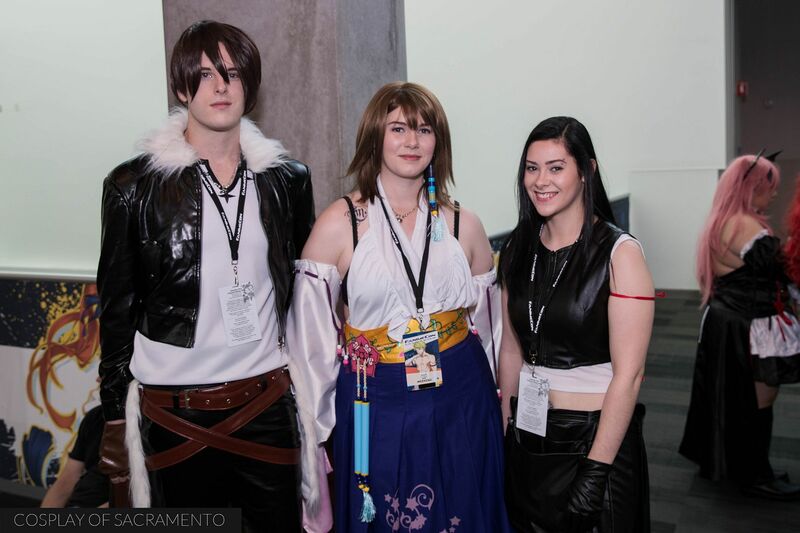 One of the best things about attending cons like SacAnime Gives Back are the people. Going with friends is awesome, and so is meeting new friends. It is always great to connect with people that have similar interests and just hang out. No matter how big or small a con is, there is always the opportunity to build friendships. I personally have met so many amazing people since I've gone to cons like this one. These events build community, and this particular community is one that is accepting and open to those who want a friendly and accepting environment. 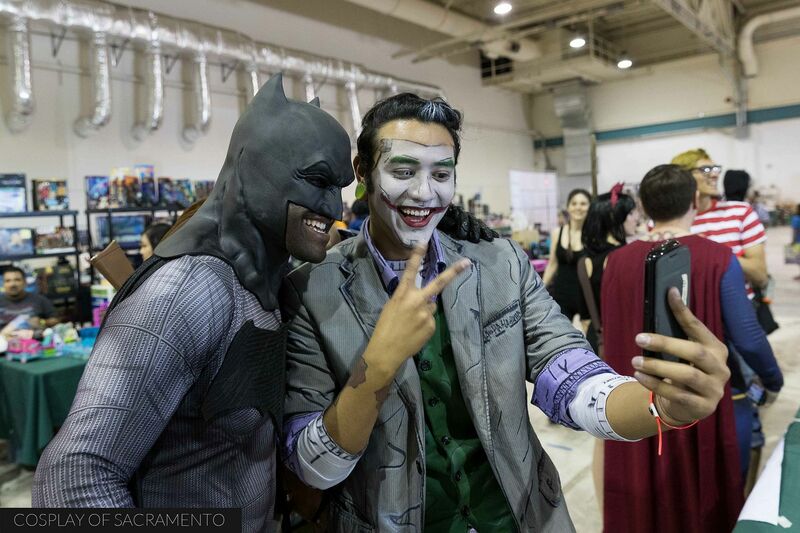 If you're looking to get photos of your cosplay, the con is the place to be. And if you're a photographer, the con is the perfect place to capture some amazing cosplay photography. As a photographer myself, it's the opportunity to photograph cosplayers that gets me coming back to cons time and time again. 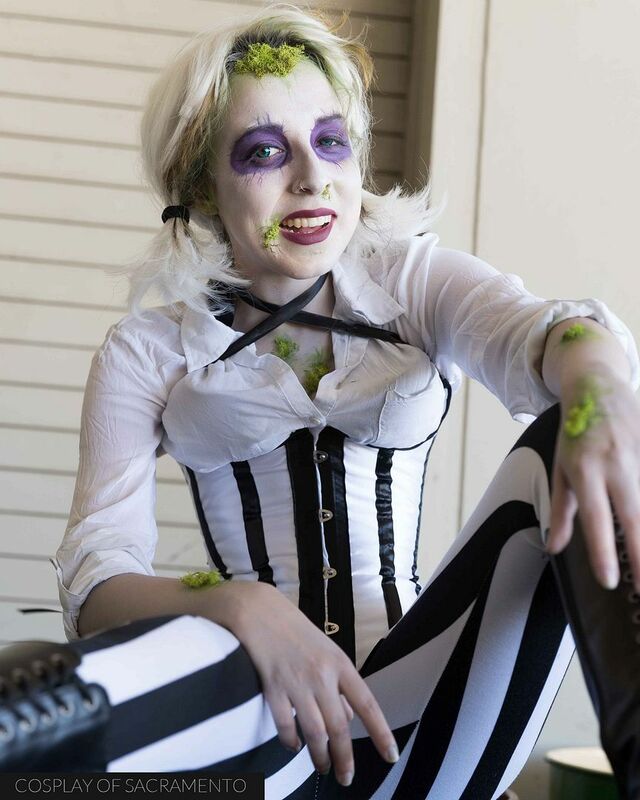 One of my favorite cosplayers to shoot with is Skynerd (shown above in her Beetlejuice crossplay). She always brings it in terms of creativity. I got to do an extended shoot with her and another favorite of mine, Supakawaiineko. 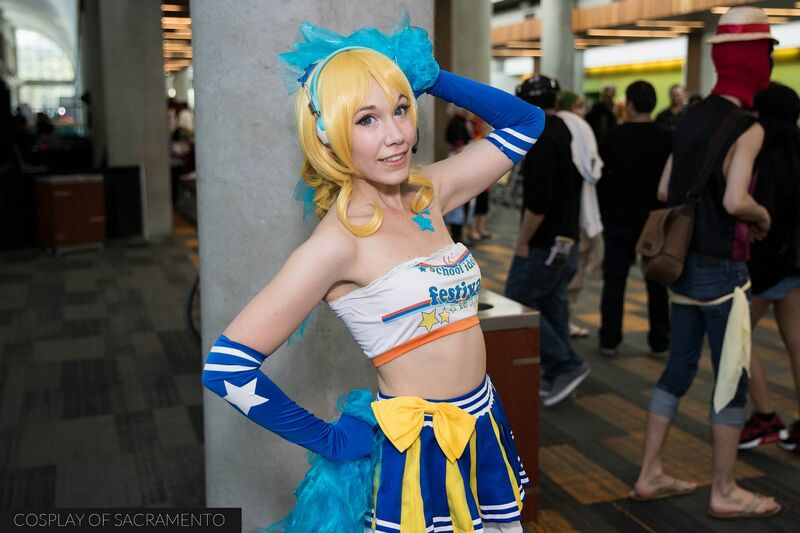 Check out those pics in my gallery of SacAnime Gives Back on the main Cosplay of Sacramento site. For many cosplayers the main event of a con is the costume contest. This is where the cosplayers get to show their cosplay front and center on stage in front of an audience. I'm sure this makes many people nervous, but the crowd always does a great job of encouraging every cosplayer that comes up and participates. 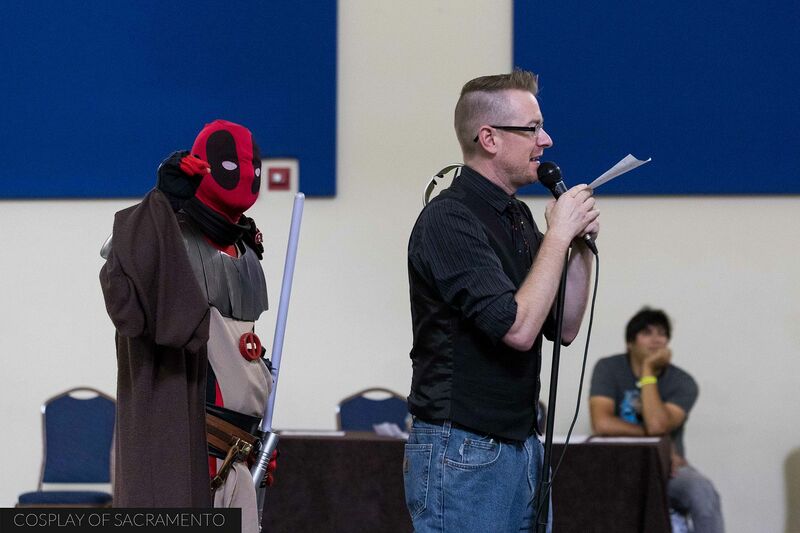 The photo above shows a funny moment as Deadpool trolled the emcee before the cosplayers took the stage. All the cosplayers today totally killed it. My personal favorite was this young Superman flying around the stage. He embodied Superman so well! I wasn't the only one who loved this young guy. I'm pretty sure half the audience swooned over his performance. The winners of the costume contest got some great prizes. Thank you and congrats to every cosplayer who came up on stage during the costume contest. You all did an amazing job!